After Trump stab in Back, Will Iran withdraw from the Non-Proliferation Treaty? President Donald Trump announced that the US is pulling out of the Iran nuclear accord–and Iranians are really pissed. Thousands of Iranians demonstrated in Tehran chanting “Death to America.” Thousands more attended Friday prayers in Tehran to hear hardline leaders denounce Trump’s actions. Foad Izadi, an assistant professor at the University of Tehran, told me in a phone interview that Iranians are angry at imposition of new sanctions despite Iran living up to terms of the nuclear accord, known formally as the Joint Comprehensive Plan of Action (JCPOA). Iranian officials are meeting with European leaders in hopes they will defy Trump’s sanctions. But so far European corporations have started cancelling their investments rather than risk American ire. In 2015 seven countries signed the JCPOA in which Iran agreed to intrusive inspections of its nuclear power facilities in return for lifting of economic sanctions. The US, Iran, Britain, France, Germany, Russia and China reached the accord after years of difficult negotiations. The JCPOA was codified into international law by a unanimous vote of the UN Security Council. Nevertheless, the Trump administration renounced the JCPOA and announced unilateral resumption of harsh economic sanctions in 90-180 days, setting the stage for a major confrontation with Iran. Trump’s actions have rallied Iranians around their government. An Iran Poll survey conducted in April showed that 67% of Iranians want their government to retaliate against the US in response to any cancellation of the agreement. They want Iran to restart portions of the country’s nuclear program suspended since the accord took effect. And Iran’s leaders are preparing to do just that, although they differ sharply on how. Some hardliners want to withdraw from both the JCPOA and the Non Proliferation Treaty (NPT). The NPT prohibits signatories from developing nuclear weapons. Once out of the NPT, Tehran could block all international inspectors from entering the country . The US would then have a much harder time determining if Iran was developing a nuclear weapon. Izadi said Iran is also considering how to stay within the NPT and JCPOA while sending a sharp message to Washington. Iran may step up the training of nuclear scientists. University level programs have lapsed in recent years, according to Izadi. By encouraging graduate studies in nuclear engineering, future personnel could go to work in Iran’s nuclear power industry, but also be ready to research nuclear weapons technology. Such academic research carried out before 2003 was a contentious issue in the JCPOA negotiations. Iran maintained that academic research didn’t violate the NPT while the US and Israel argued that it was part of a nuclear weapons program. Iran could enrich uranium to 20%, which is well above the 4% level needed for nuclear power but far less than that needed for a bomb. Under terms of the JCPOA, Iran can enrich up to 20% for medical research. Iran had enriched to 20% during the presidency of Mahmoud Ahmadinejad. Iran could even enrich well above the 20% level to have fuel for nuclear submarines. Most Iranians believe the nuclear issue is only an excuse to attack Iran. 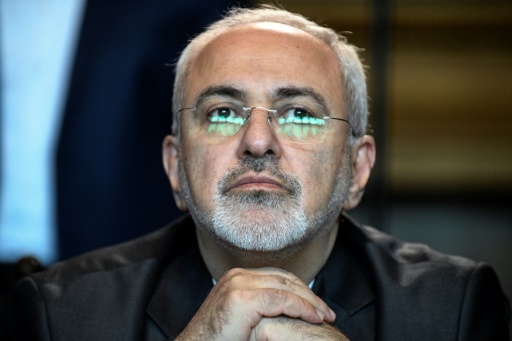 Izadi said even if Iran completely stopped its nuclear power program entirely, the US would invent a new excuse, such as Iranian support for “terrorism.” All these assertions are a cover for the US to expand its hegemony in the Middle East, he said. “One of the primary objectives that the US has in this part of the world is to make sure that the oil that exists here is directly or indirectly controlled by the United States,” he said. The Trump administration is pursuing two-track military policy towards Iran. If Iran attacks Israel, the US and Israel would launch a large scale military attack. Otherwise, Trump will use harsh sanctions to worsen economic conditions for ordinary Iranians in hopes they would overthrow their government and install a US friendly regime. The Securities Study Group (SSG), a right wing think tank close to National Security Advisor John Bolton, is circulating an Iran position paper to Trump’s national security team calling for regime change. Republican neocons tried such policies during President George W. Bush’s first term, and it failed miserably, noted William Beeman, an anthropology professor at the University of Minnesota and an Iran expert. Republican neoconservatives now play a prominent role in Trump’s cabinet as seen by the appointment of Bolton and Mike Pompeo as Secretary of State. Military conflict with Iran has already begun. Earlier this month Israel accused Iran of firing missiles into the Golan Heights, and Israel bombed what it said were Iranian military facilities in Syria. The decision to withdraw from the JCPOA has sent a signal to the region. The prospects for military conflict have increased–whether in Syria, Lebanon or Iran itself. Feature photo: AFP / Alexander NEMENOV. Iranian Foreign Minister Mohammad Javad Zarif, pictured on April 28, 2018 while attending a meeting with his Russian counterpart in Moscow.